Boston’s seaport is the city’s hot new neighborhood, and YOTEL Boston is at the heart of it. Built on a platform of design and technology and inspired by first-class airline suites, Yotel delivers modern luxury in compact “cabins” whose ingenious use of space offers everything you need, at remarkably affordable prices. It’s a perfect match for the spirit of innovation, entrepreneurship and artistic endeavor that characterize the neighborhood. This CheckOut was originally published in ManAboutWorld’s summer issue and republished here. 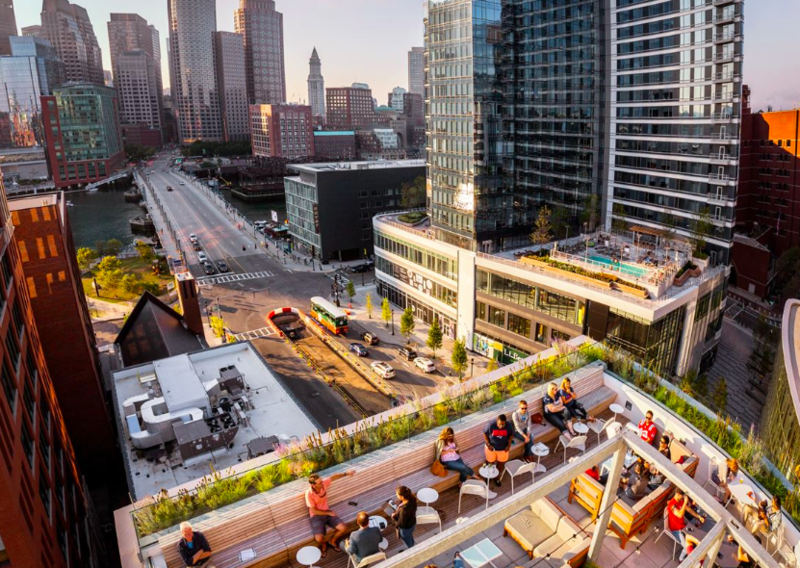 Located between the beautiful waterfront and the historic Fort Point District, the seaport integrates repurposed 100-year old warehouses with modern architecture to create a vibrant, exciting new neighborhood that is home to some of the city’s best dining, shopping and art. The hotel is built atop the Courthouse Station of the Silver Line — a free 15-minute transit from Logan Airport. And many important locations are within walking distance: Boston’s South Station, serviced by Amtrak and Bolt Bus is a 10-minute walk. The Convention Center is about 12 minutes and the Institute of Contemporary Art is six minutes away, as is the Boston Harbor Ferry to Provincetown (The Bay State ferry is 15 minutes away). The gay bars of the South End are a best accessed by Lyft — a 10- to 15-minute ride depending on traffic. YOTEL’s cabins start at 154 sqft — about the size of a standard cruise cabin but filled with savvy design features that make it feel much more spacious and luxurious. At the heart of the room is the adjustable SmartBed – like a cross between a futon, a luxury mattress, and a lie-flat airline seat. It slides from a couch-like reclining position to a queen size bed with the touch of a button. Set it to the perfect angle for lounging, and lay it flat for sleeping. Like a yacht, space is maximized with built-in furniture and storage solutions. Plenty of room is left for the bathroom, including a rainfall shower that could easily fit two, and stocked with premium amenities. If you require more space, upgrade to a Premium Queen Plus at 201 square feet or a First King at 318 square feet. If you’re really feeling royal, there’s a VIP suite with 487 square feet of space and a stunning 180º view of the city and harbor. 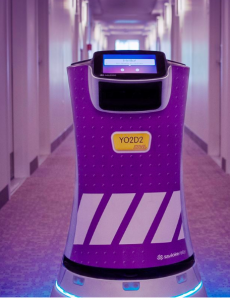 Technology is at the heart of everything YOTEL, and while the “Mission Control” staff is always available to help you, check- in/check-out is handled primarily by App and Kiosk; and emergency supplies or extra towels are delivered by YO2D2, the house robot! A Club Lounge on the ground floor and Sky Lounge Rooftop and Terrace offer casual dining, drinks and comfortable indoor/outdoor places to relax or work. The gym is open 24/7, and features free weights and cardio machines. A guided meditation is offered every Tuesday morning, and the wifi is free and fast. 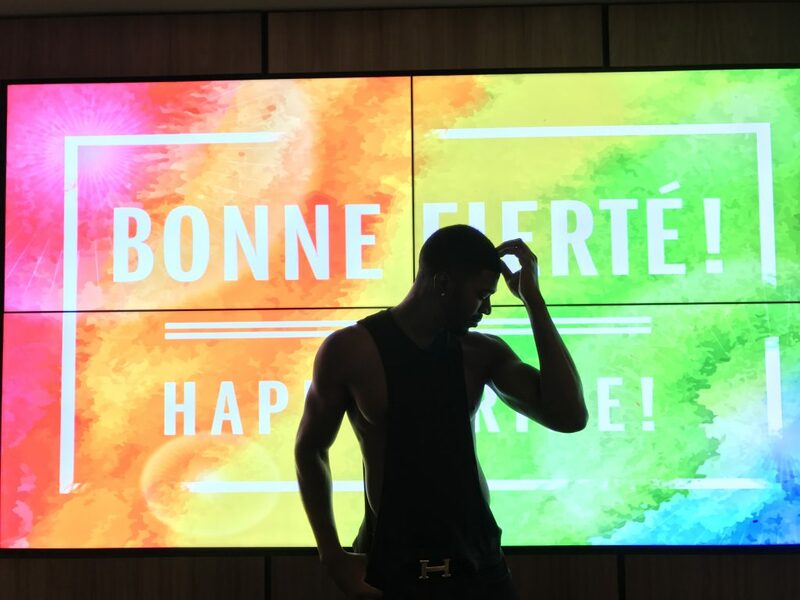 We wouldn’t stereotype you by saying that the design, style and technology were clearly designed with gay travelers in mind, but YOTEL’s modern stance is perfectly suited for us, and we’re betting you too. It’s a bit farther than our old haunts from the (not-quite-so-gay-anymore) South End, but we’d rather be close to all the new excitement of the seaport, and we’re betting you would too. Rates in Boston can be shockingly high when conventions roll into town, but figure a Queen Premium cabin is around $160 in the dead of winter, typically closer to $250-350, and as high as $550 (when a generic Hilton room might be $700). Save 10-15% and earn Flying Blue or Flying Club miles when you join Club@Yotel for free. For rates and reservations at YOTEL Boston, visit the website. ManAboutWorld highlights properties we have recently and personally stayed at, and is editorial, not advertorial. Like virtually all travel publications, we sometimes accept discounted and sponsored travel, but ManAboutWorld is beholden to no one but you. Our recommendations are based solely on the experience and opinions of our editorial team and trusted network, putting our readers’ interests above all. If you ever have an issue with anything we recommend, please let us know. We always have your back, and your travel satisfaction in mind. Read our full disclosure. 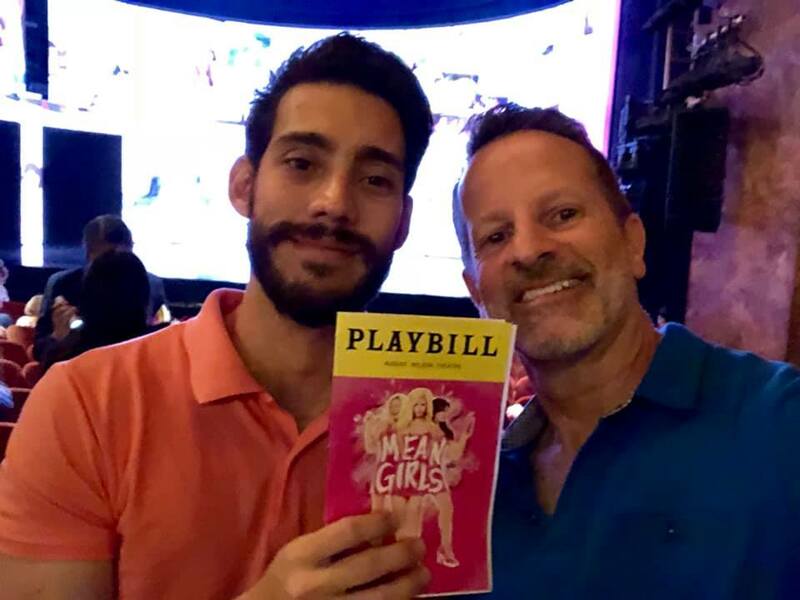 If you’re in New York, try to catch Mean Girls on Broadway. What a fun show with a lot of gay subtext and a gay character who is terrific. Remember “On Wednesday we wear pink.” Also remember that October 3 is Mean Girls Day. What, you ask? Recall “On October 3 he asked me what day it was.” Check out all the businesses in NYC celebrating the day. We got to see it on Wednesday. You don’t see it in the photo but we were both wearing pink:) The audience seemed to include mostly gay men and high school and college age young women. And women their moms’ age. Expect a story that reflects the movie but includes an amazing original score and a lead narrator character, Damian Hubbard, who’s gay and steals whatever scene he’s in. Mean Girls is a musical with music by Jeff Richmond, lyrics by Nell Benjamin, a book by Tina Fey, based on the 2004 film of the same name written by Fey, which, in turn, was inspired by the book Queen Bees and Wannabes by Rosalind Wiseman. The musical premiered at the National Theatre, Washington, D.C., in October 2017 and opened on Broadway in April 2018 at the August Wilson Theatre. Konnichiwa from Kyoto, Japan! For thousands of years, Kyoto was the cultural center and capital of Japan — and It shows. Kyoto boasts expansive temples and a deep sense of tradition. As Kyoto modernized, it never lost its sense of culture and history, making it a fascinating example of modern and ancient Japan living side by side. 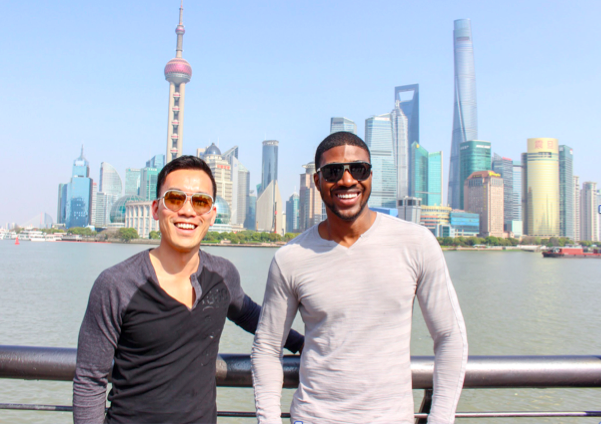 Join Trav’lin Tom for a fun, fast-paced tour of temples, bamboo groves, food markets, and even Japanese karaoke. Tom Goss is a ManAboutWorld global correspondent. He travels with his husband, Mike, all around the world and sends us these video updates. Click on his video and follow his KinosakeOnsen adventure. Follow Tom’s other video adventures here. Tom is also a singer, songwriter, and filmmaker whose concerts and projects keep him constantly moving. When not traveling for work, Tom is usually traveling for fun. Check out his music at TomGossMusic.com and more Trav’lin Tom videos on YouTube. Meet all of our Global Correspondents here. 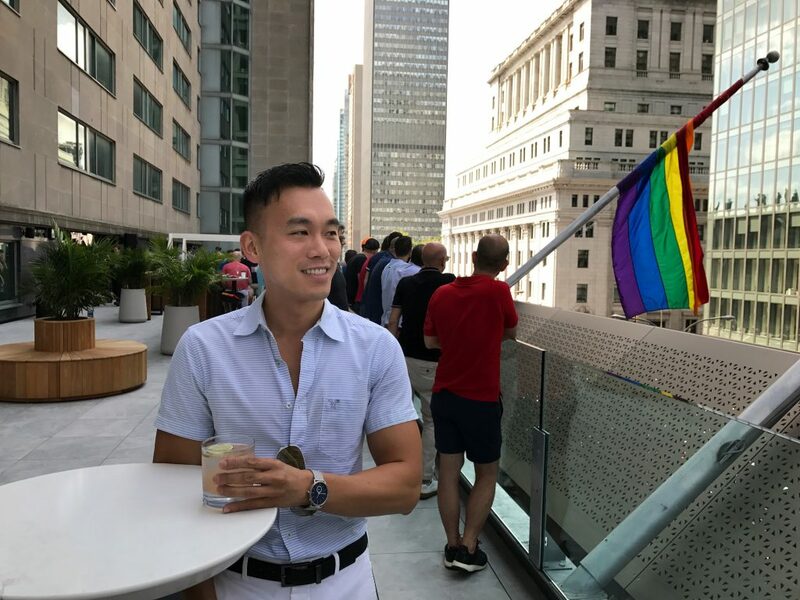 Subscribe to ManAboutWorld here and find insights from Tom, our global correspondents and the staff writers at the magazine Ed, Billy and Kenny. The brand-new, stylistically-striking Hotel X Toronto in Toronto, Canada is anything but yet another cookie-cutter urban luxury hotel crammed into a downtown lot. 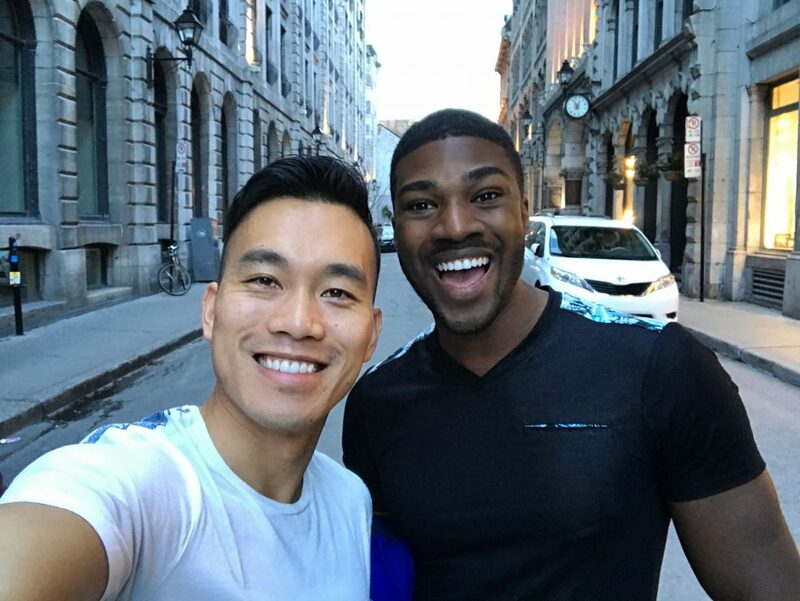 Hotel X Toronto is a very short taxi/Uber/Lyft ride from everything that Toronto has to offer; making it an ideal headquarters for enjoying Pride Toronto or any other event in Canada’s largest city. 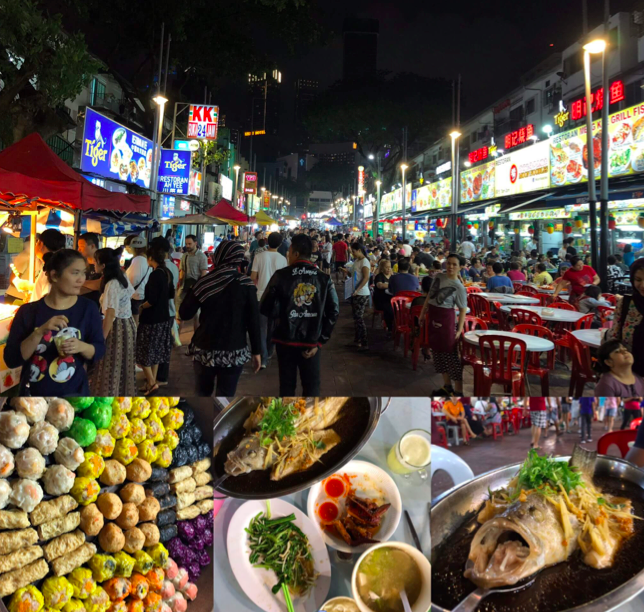 Story by ManAboutWorld correspondent, James Careless. Worth noting: The 404-room, 30-storey Hotel X Toronto is likely correct in claiming that it offers “a wealth of amenities unrivalled by any downtown hotel, including four indoor tennis courts, a full-service spa, two year-round heated swimming pools and TEN X TORONTO—a 90,000 square foot athletic centre with its own children’s area.” In addition to its restaurants (with options for vegetarian, gluten free, and vegan diets), Hotel X Toronto has an art gallery, beer garden, stadium-style movie theaters, event spaces, historical exhibits, and the three-storey rooftop SkyBar with – again – unparalleled views of downtown Toronto and the lake. 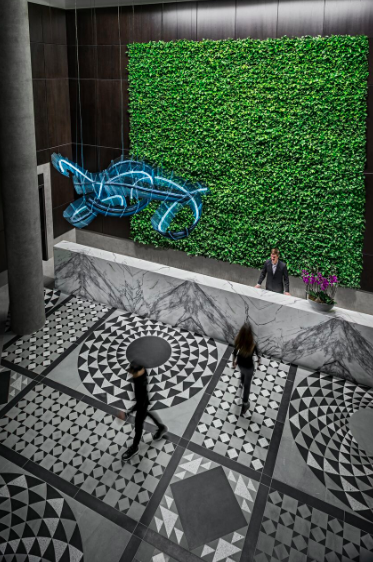 The multi-story ‘living wall’ at the Front Desk – literally a vertical surface of plants rising high above one’s head – is impressive in its own right. 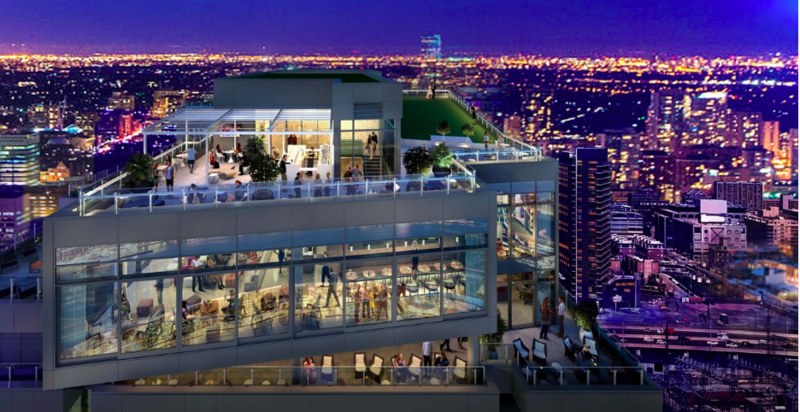 The bad news: You’ll have to go through Hotel X Toronto’s booking sites to get actual prices. Still, 30% is 30% off – and that is on top of the US dollar being worth about $1.20-$1.25 Canadian. Located at spacious Exhibition Place (home of the Canadian National Exhibition – CNE — every summer, and various Class A events and conventions year-round), Hotel X Toronto is right on the shore of Lake Ontario. It is far enough from the downtown core to have a clear, unobstructed view of the lake, the nearby Toronto Island with its parks and airport, and Toronto’s major buildings; plus the lakeshore’s Ontario Place and the 1840s-era stone Stanley Barracks at Fort York. Having grown in Toronto and spent many summers at the CNE in all its gaudy midway glory, I could never have imagined a true luxury hotel being located on the fair grounds. But much has changed at Exhibition Place. New convention/display buildings have been added (like the Enercare Centre) and older spaces renovated, while the rundown Exhibition Place grandstand has been replaced by the modern BMO Field (home of the Toronto FC pro soccer team). The historic Stanley Barracks next door has been restored and softened with the addition of gardens. I was fortunate to stay in a corner suite, on the 18th floor of Hotel X Toronto. I walked into an entrance hallway that angled left to the spacious modern bathroom (including a glass-walled shower with space for more than one), then turned right into a truly roomy bedroom with floor-to-ceiling full glass windows on two side. 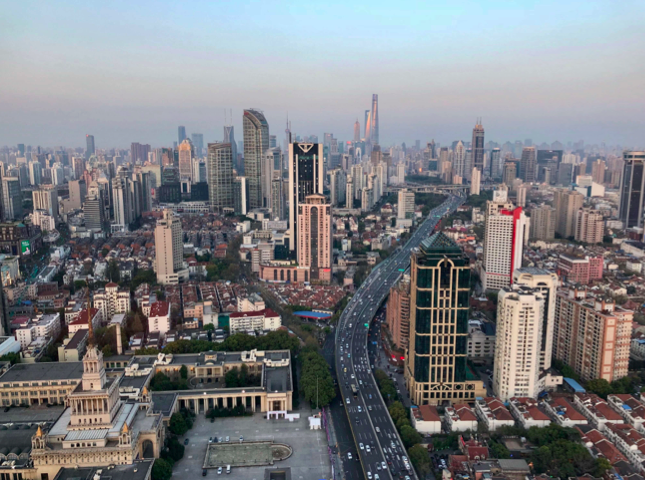 The view alone from this suite justifies the price of admission. It is one of the best that I have seen in Toronto’s many downtown hotels. 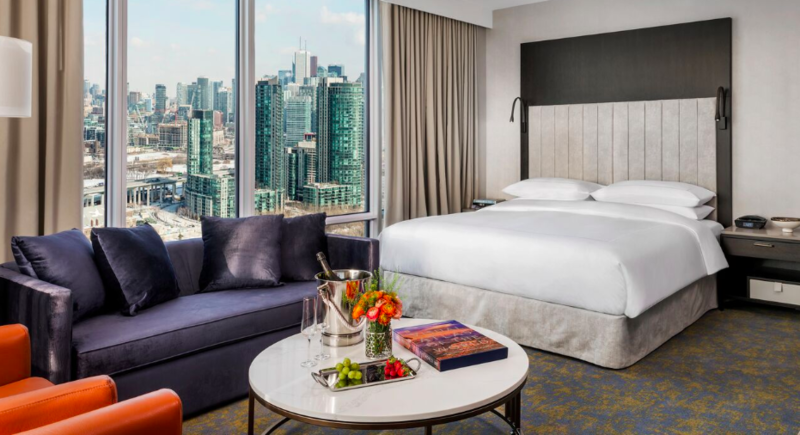 But the quality of Hotel X Toronto’s modern furniture and appointments is also worth mentioning: The wood, metal, leather and fabric far are above the usual hotel fare. They and the room’s fabric walls make you feel like you are staying in someone’s elegantly-decorated high-end condo; rather than yet another unsuccessfully pretentious hotel. I was also struck by the bathroom’s elegant fittings, and the little details that were tended to; such as having two bathrobes and slippers available rather than just one. The room service was also a treat: What a luxury to have smoked salmon Eggs Benedict delivered to one’s room for breakfast! If ‘Gay Factor’ translates into superb modern design with no false flash, elegance and quality in all things, and the sense that staying here somehow raises one’s game and sense of self, Hotel X Toronto has tremendous Gay Factor. That said, what I have just said applies to anyone, regardless of gender or orientation – as long as they have class, style, and a sense of how to comport themselves in public. Meanwhile, Hotel X Toronto is a quick taxi/transit ride to everything in downtown Toronto; be it the city’s famous Gay Village, the Rogers Centre (home of the Toronto Blue Jays baseball club), the Theatre District, the business core, shopping, or the Toronto Island (accessible by an underground tunnel at the nearby Island Airport, or a short ferry ride across the harbor; well worth it).